The establishment of coffee pastry shops Chatzis is signaled back to 1908, when Suleiman Souleimanovits established in Venizelou str. his small dairy, right opposite to the position of his current business store, which has been attributed with longevity.The store sells creamery products, some inchoate sugar sweets, sweets dressed with syrup, “halva” and beverages such as milk and buttermilk which are included at the breakfast menu along with butter and honey – as well as the famous so called Boza, with its special sour-sweet taste.This is the first beverage that makes its appearance in the Balkans, which is made from millet, corn, yeast and sugar.Under these circumstances, and while the reputation of the store spreads by word of mouth, the workshop of Suleiman will remain in this position until 1917, as in August of the same year it will be destroyed along with thousands of other houses and shops due to the incident of the “big fire” in Thessaloniki. So, before the year ends the store moves to 50 Venizelos street. Opening of the first Chatzis store in Venizelos street, right opposite to its current position. Transfer of the famous traditional pastry shop to its current position, in Venizelos str. Place of production and preparation is transferred from Venizelos str. shop to the area of Hippocration hospital of Thessaloniki. At the same time, there are the first moves of product distributions by car. Opening of the second traditional pastry shop Chatzis in the east of Thessaloniki, in Themistokli Sofouli str. Transfer of the production unit in private pastry workshops in the area of Thermi. Opening of the third traditional pastry shop Chatzis in Kamara, in 119 Egnatia str. Opening of the fourth traditional pastry shop Chatzis at Neous Epivates’ coast. Renovation of the historic shop of Chatzis in Venizelos str. Company is reorganized. By this way the company becomes able to handle and withstand the Greek economic crisis. Establishment of the 100% subsidiary “Chatzis Emporiki SA” in order to develop and wholesaler networks Franchise. Opening of a new traditional pastry shop Chatzis, by the franchise method, in 27 25th March str. at Nea Smirni, Athens. Chatzis pastry shop, made a big contribution by helping 3 people – Marco from Italy, Ray from Australia and Sharon from Kenya – through NGO. For change program and Global Citizen of AIESEC organization. 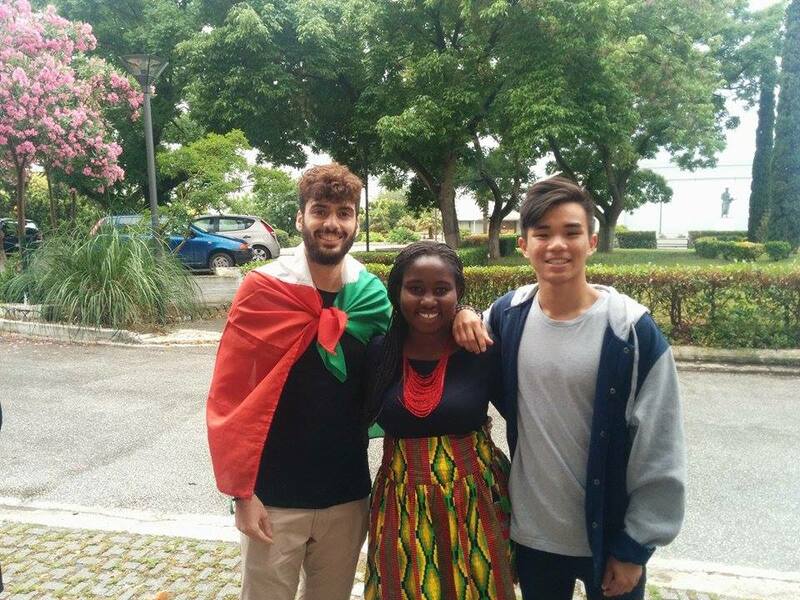 These three people were able to come to our city, interact with other people and help us with their experience and actions. Through my internship I’m trying to build a relationship between the ΝGO and local society in order to make aware citizens about the aims of the NGO and its activities. I am satisfied about my work because the NGO gave me the opportunity to implement my ideas which helped to make it work more sustainably. Of course, it was the easy adaption to the town and the helpful environment of both AIESEC and workplace that motivated to do my best. Firstly, I want to thank AIESEC in UoM for the whole part of my stay here, in Thessaloniki. When I came here everything was well organised and I really did’t find any difficulty to adapt to my new environment. My internship had to do with teaching in greek schools. Also, an open day has been planned and it required my marketing skills in order to promote the event efficiently. So I’m giving all my passion for this! I am currently trying to maintain the website and a social media page for an NGO. With all materials are entirely in Greek, it did take extra effort I believe that the language barrier does affect my capability to achieve higher goals but I have contributed a lot through raising awareness towards the NGO. I have created an open page on Facebook and shared it to friends and partners. Even though not all of those who stumble across the page are actively involved with the aims of the NGO, raising awareness is nonetheless an important aspect that helps an NGO achieve their goals.